Every holiday party needs a signature cocktail. 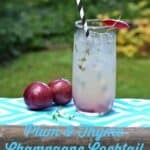 Whether it’s a simple champagne cocktail, a sparkling martini, or a fun and fruity cocktail. For our Christmas party I wanted something that was not only festive but that I could make in a big batch. I have a few party jugs that I wanted to fill with the cocktail. My first thought when thinking Christmas was cranberry. I went through several different cranberry drinks before I decided on a margarita. 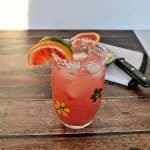 However, margaritas are such a summer drink that I knew I needed to do something else to the cocktail to make it more of a winter drink. After several trials I added ginger and vanilla and it was just about perfect. The red cranberry juice colored the cocktail while lime juice gave it a nice tartness. 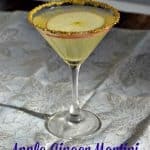 The ginger and vanilla simple syrup added spice and a delicious flavor. I rimmed the glasses with salt and poured in the margaritas. I then topped them off with a few sugared cranberries. The results were awesome! The margaritas looked fun and festive and the taste was amazing. I could barely taste the alcohol in them! 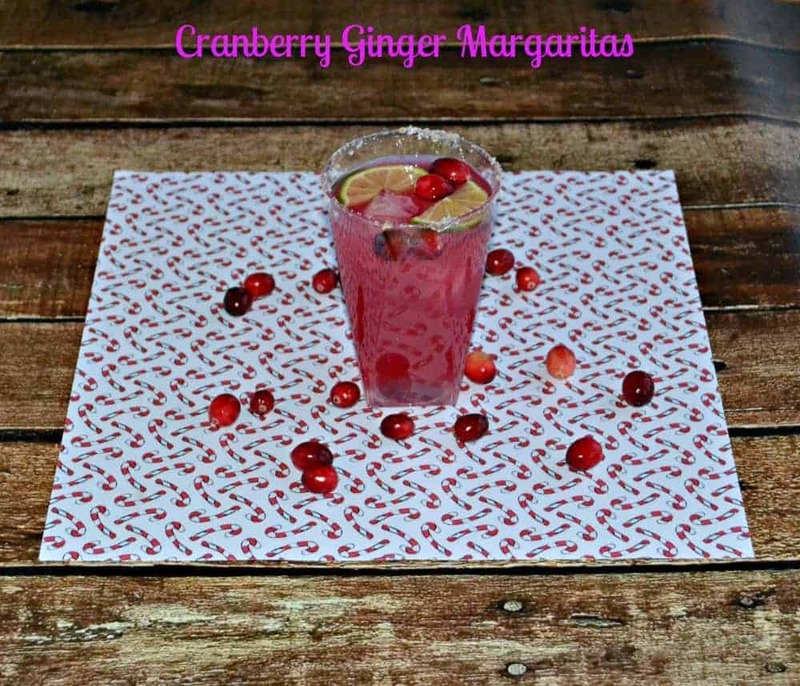 These Christmas margaritas are a combination of cranberry and lime juices, sweetness from the simple syrup, a bit of spiciness from the ginger, with a mellow vanilla finish. They were a huge hit at the party and I even had several people request this recipe. Make a single serving for yourself or a whole jug for a party! 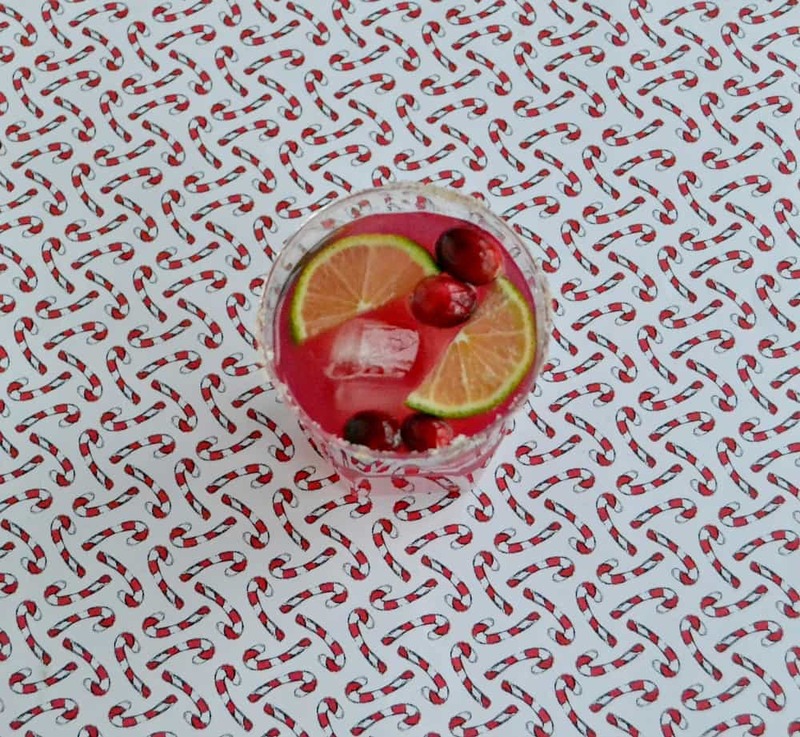 A holiday margarita made with cranberry juice, lime juice, sweetened with simple syrup, spiced with ginger, and finished off with a mellow vanilla flavor. Combine all ingredients for the vanlla ginger syrup in a small saucepan. Bring to a boil over medium heat and boil for one minute. Remove from heat and allow to cool. When ready to make the margarita take a lime wedge and rub it around the edge of a tall glass. Dip the glass into coarse salt. Fill glass with ice and set aside. 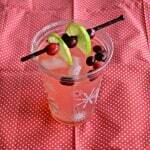 In a shaker combine the cranberry juice, lime juice, vanilla ginger simple syrup, orange liqueur, and tequila. Shake for 30 seconds. Pour the margarita into the prepared glass. 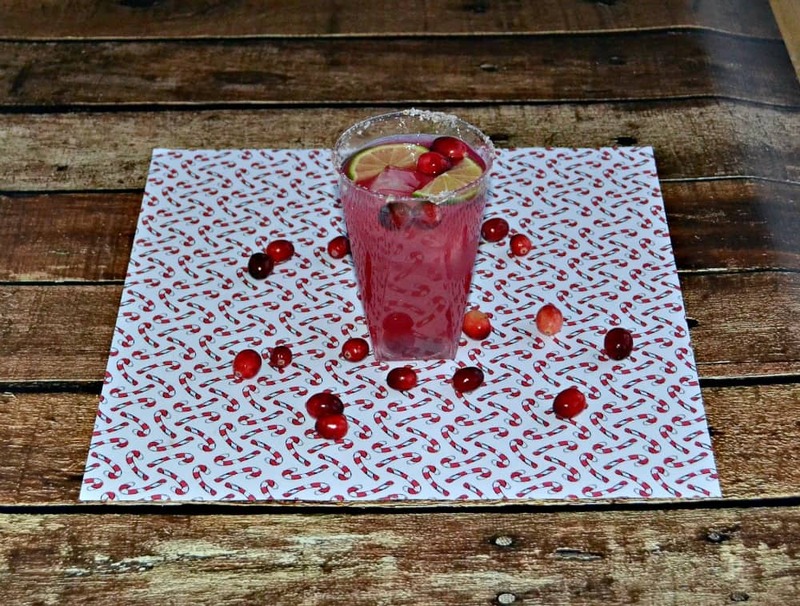 Top with sugared cranberries and the lime wedge. 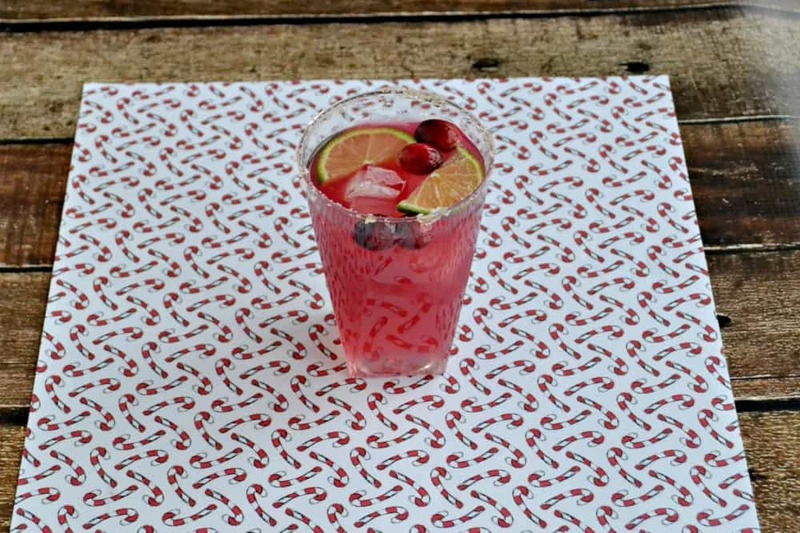 I love margaritas and this holiday version looks darn tasty!!! So pretty, too.